Let's face it - it's getting more difficult to grow your business. There are several factors contributing to this reality. To understand why your current customers are essential to business development growth, let's take a look at what's going on in today's B2B marketplace. It's sad but true, buyers just don't trust us as much as they use to. Consider the research shown below, courtesy of HubSpot. Trust is the currency on which purchasing decisions are made and there is precious little of it in the minds of B2B buyers. The inbound marketing playbook essentially boils down to using organic search and social media channels to funnel buyers back to your website. Content channels like Google, Facebook, and LinkedIn realize the value of their visitors and have made it more difficult (but not impossible) for them to pass through to your website. For example, consider the case of Google Snippets. 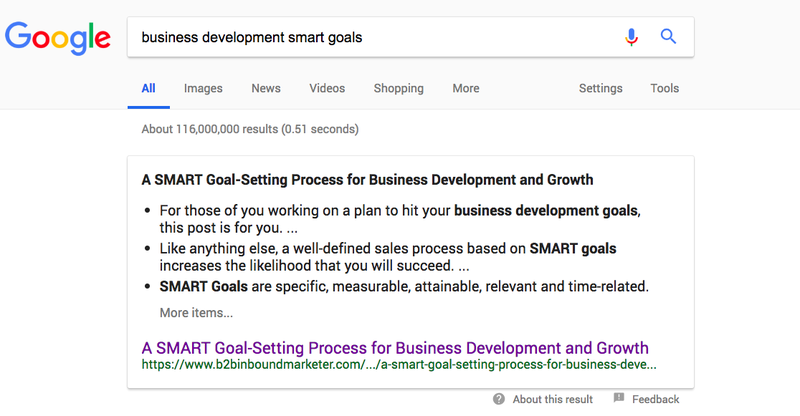 If you do a Google search for "Business Development SMART Goals", this is what you'll see at the top of the page. This is a Google snippet culled from a blog post I wrote. While it's great that my content is featured prominently in a Google search, it's not so great that the reader may not click through to my website if she finds what she needs in the snippet. LinkedIn's algorithm favors Pulse posts on LinkedIn to posts that pass users through to your website. Facebook's algorithm favors sponsored content over organic social media posts. To make a long story short, content marketing is rapidly becoming a pay-to-play proposition. 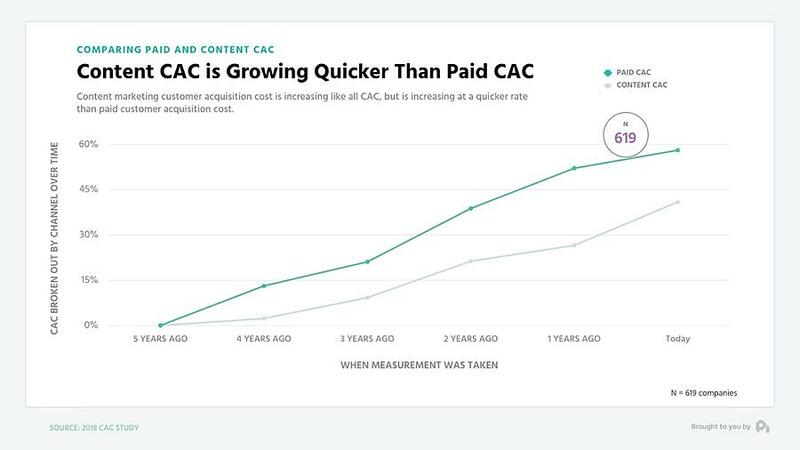 Just look at how customer acquisition costs are rising more rapidly for organic content compared to paid promotion. These are just a few of the factors that are making it harder to generate growth in the digital realm. So as all good lean marketers do, you should adapt your tactics to thrive in the new era. And the asset you have that is built upon trust is your relationships with satisfied customers. In the 2018 DemandGen B2B Buyer Behavior Survey Report, buyers were asked, "How important were the following aspects when you visited the website of potential solution providers for the purchase? 76% of respondents identified "relevant content that speaks directly to my company" as important, the number 1 response. So clearly relevant content that educates and helps solves problems should be at the heart of your business development process. 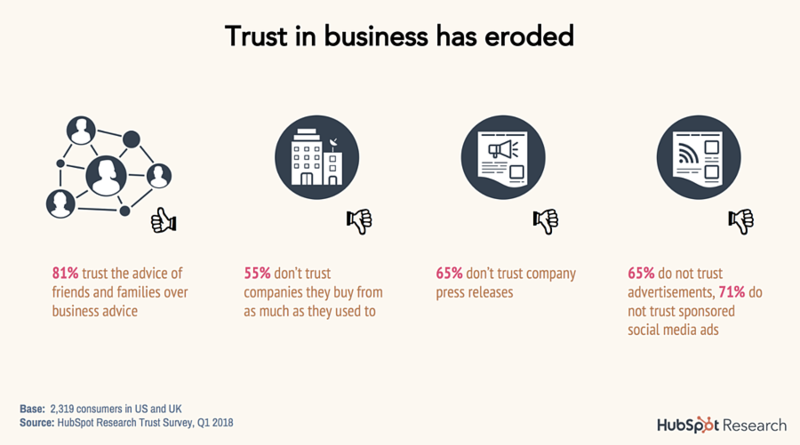 At the beginning of this post, we mentioned that buyers' trust in businesses has eroded. But there's a silver lining in that dark cloud: 81% trust the advice of friends and families over business advice. They also trust similarly situated peers who share the same problems and challenges that they do. So a satisfied customer who can testify to how you helped them. But that's not the only way a satisfied customer can help you. Let's take a look at how your customers can support your growth. When you go above and beyond, happy customers can help you acquire more customers. Here are 3 ways you can leverage a happy customer to help you grow. Happy customers can refer you to growth opportunities. Most professional services are familiar with a stewardship report, where you review how a project went and identify opportunities for improvement. This is a natural time to ask, "Do you know anyone else who might benefit from our services? Could you introduce me?" Happy customers are more likely to buy more and different services from you. You've already established trust, which is a prerequisite for a business transaction. 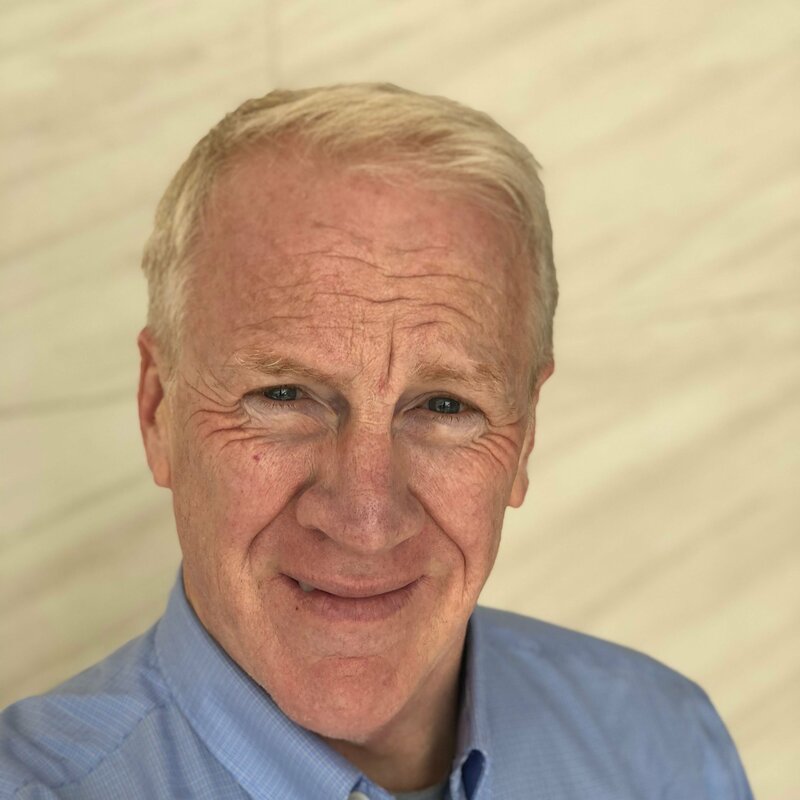 As part of the stewardship process, you can explore different ways you can help customers and negotiate recurring revenue streams in the form of retainers. Happy customers can be the subjects of your case studies. A case study is social proof of your ability to solve problems and add business value to other customers. Make your customers the stars of your case studies; they have much more credibility with buyers than you. 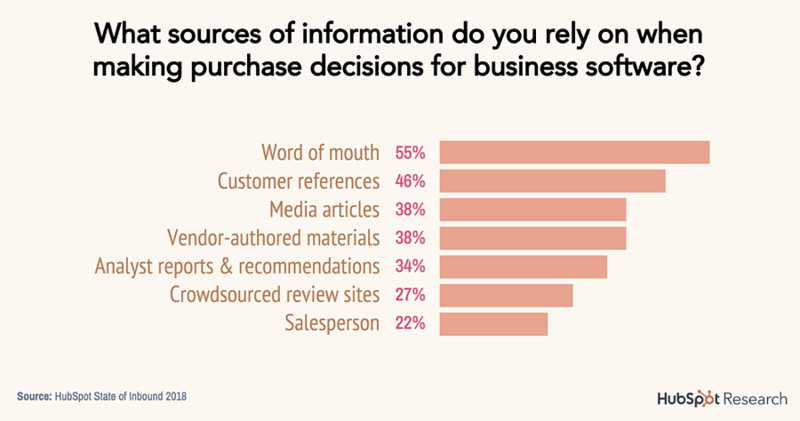 Here's what purchasers of business software identified as important sources of information when making buying decisions. Do you see how a happy customer can help you? None of this is possible without happy customers - that's why it's so important to have a customer service that exceeds expectations. Here are some suggestions for providing an excellent customer service experience that fuels growth. Just as you define your sales process, it's important to lay out your service delivery process. Lay out all the steps that you need to take to deliver best-in-class customer service. From the discovery process to implementation, defining how you will deliver each element of your service ensures consistency across your customer base. What you don't want to have happen is to have two of your customers talk and one say, "They did that for you? Why didn't they do that for me?" Make sure you include periodic customer feedback review in your service delivery process. Don't wait for the customer to share a bad experience with you - ask questions like "How is everything going?" and "Is there anything we could be doing better or different?" This nips problems in the bud and shows your customers that you care about them and appreciate your business. Conduct periodic meetings with your service team to identify problems, solutions and concerns that everyone should be aware of. And don't forget that a positive customer review meeting is a good time to explore additional business opportunities and referrals. Before sharing a deliverable with a customer, have a "second set of eyes" review it. Look for typos, misspellings and poor grammar as well as substantive elements of the deliverable. This is an important step in your service delivery process and can eliminate a lot of problems. Define your performance goals and measure them to ensure an excellent customer service experience. Many of these KPIs will be time-related: respond to all customer emails within 24 hours, get the deliverable to the customer within 2 weeks, etc. Share these service standards with the customer up front. If they're not acceptable to the customer, either adjust your standards or decide that this may not be a customer you can help. You should also adapt your service delivery process to customer feedback and profit analysis. In today's environment of eroding trust in business, your customers are your greatest assets in growing your business. Invest the time and resources to get your service delivery right and you will optimize your growth potential.